December was fantastic here in London with so many Christmas events on it was easy to get carried away with the festiveness! I went to Winter Wonderland, ice skating, drank my fair share of mulled wine, exchanged pressies and indulged in some proper Christmas dinners (which happen at lunchtime mind you, their terminology here really is strange). Christmas rolled around and I had a few days up in the country with family friends who took me in as the Aussie orphan for the holidays. Then it was back to London to prepare for New Years Eve. In true NYE fashion it was the morning of and I still didn’t have a plan, thankfully a beautiful friend came to the rescue; she invited me for dinner at her place and we watched the fireworks from her roof – it was an amazing first NYE in London. Fast-forward a few days into Jan and my big countdown was finally up! Dad arrived! It was so nice to have some family in the same country for once, let alone the same hemisphere! I took some time off work to show Dad around my neck of the woods and then we set off up north to Oxfordshire where we spent a few days driving around the English countryside and warming our souls in a pub or two. After that we headed onto Ireland where we both fell in love with the country and its people. If you go back about 5 generations on Dad’s side we are actually Irish so I guess you could say we found the kinship strong. Then it was back to London and back to work but Dad was still around so I’ve been out and about each night indulging in some lovely dinners. Needless to say I feel I’ve barely been home for a month! Dad jetted off on Monday and now there’s a bit of a hole in my heart but it was a truly wonderful few weeks sharing my new English life with him and I’m proud to say he learnt to navigate the tube like a pro. And now we find ourselves nearing February can you believe it? True to my word I’m sticking to visiting one place each month; I’ve already got Rome, Budapest and Amsterdam on the cards, not to mention my trip home to Oz at Easter. I also had the opportunity to explore plenty of London while Dad was here and I have to say this city just surprises me at every turn. The more I see, the more I like. Richmond and Hampstead Heath are my new favourite areas, I can’t wait for the weather to warm up a bit so I can spend my days walking all the boroughs and bike riding by the river. Snow-watch still continues for me; there hasn’t been a flake yet and I’ll be damned if I get through my first winter in London without a sprinkle. I’ll keep you posted. Life is good. If sushi and sashimi were its own food group in the healthy eating pyramid then for me it would represent the base. I could eat it all. day. long. 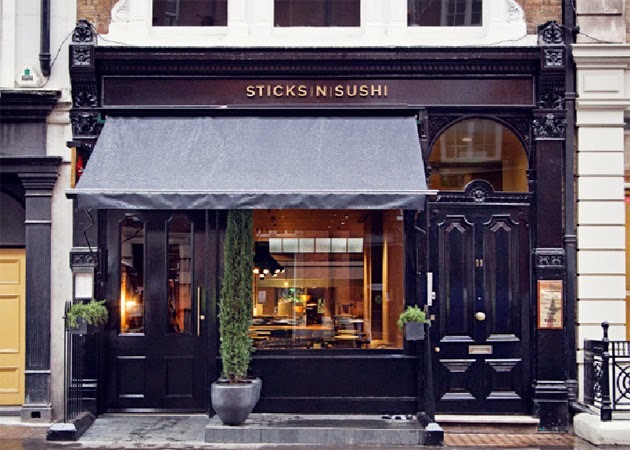 I’ve been waiting to come across an undeniably good sushi restaurant here in London that wasn’t in the Nobu price-range and I think I’ve found it – Sticks & Sushi in Covent Garden. Delicious food, great service and a funky ambience. Tick. Tick. Tick. I liked it so much the first time that I returned within the space of a week. 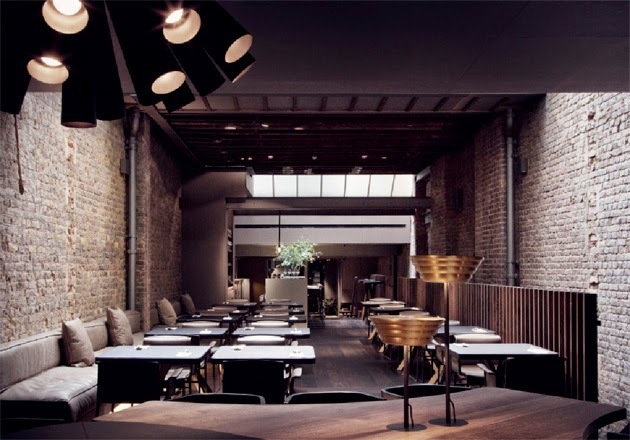 With a cool wooden panelled interior and the option of sitting at the sushi bar, separate tables or communal lots; you’re sure to feel right at home as you enter. The menu is possibly the greatest I’ve seen, particular since you are ordering Japanese food; there is a picture of EVERYTHING – it’s like the best food storybook ever. Plus you’re always certain of what you’re getting. Photos by Sticks & Sushi & Krissie. ADVENTURE - because life is about exploring, I'm excited for what 2015 has in store. BEACH - right now I'm so deprived of sunshine and heat that I plan to spend every moment possible on the sand this year. Guess I'm going to have to make some serious travel plans (see T). CAREER - I'm a very driven person so my career will be a big focus for me in 2015. Here's to learning new things and progressing forward. DREAMS - I have plenty of hope in my heart for things I wish to do and achieve this year. Time to make them a reality. EXCITEMENT - because this life that I'm living is anything but ordinary. FASHION - my work by day and my passion by night. GRIN - because a smile is a curve that sets everything straight. HAPPY - obviously above all else I hope to spend the year happy [and healthy]. INSPIRATION - I try to look for it in everything. JOGGING - I'm going to try and do it more often, considering I live right next to the Thames this should motivate me! KOALAS, KANGAROOS & KOOKABURRAS - because I'm an Aussie at heart. LUXURY - is definitely my preferred way of life. MADE IN CHELSEA - now that I actually live in London the show is even more addictive. Cast members spotted to date: 3. NEW - because where's the fun in the same ol', same ol'? OMELETTES - my go-to meal when the fridge is bare. Endless filling choices, easy and nutritious? Perfect. PROSECCO - because it's the drink of choice in London when Dom isn't on the menu. QUEEN - anyone who knows me knows I'm just in raptures about the Queen of England - she's so sweet! I really hope I get to see her this year. RESTAURANTS - so much choice, so little time. I plan to spend the year tantalising my taste buds as much as my pay-check will allow. STAIRS - I never make new years resolutions but this year I decided to make one: take the stairs. There are so many escalators in London with all the tube stations that I have made a vow to always take the stairs [unless I'm wearing high heels - then I'm excused - seems reasonable to me...]. TRAVEL - those 50 destinations on my European bucket list aren't going to see themselves... Can't wait for more adventures. UMBRELLA - cardinal rule for living in London: carry one everywhere. VIBER - my lifesaver that makes it seem like home isn't so far away; love my daily chats with mummy. WRITING - fashion writer by day, blog writer by night. My life is completely overtaken by the written word but I wouldn't have it any other way. XOXO - maybe love will be on the cards? YOUNG - and wild and free. ZZZ - sleep when you're dead - this year is for living. To be sure, to be sure, Dublin (and Ireland) has to be the most friendly place I've ever visited. Of the hundred or so Irish people that I crossed paths with during my four days in the country of the four leaf clover, I can honestly say that I only came across one bad apple - everyone else just had the sun shining out of them with happy jolly attitudes. Either there's something in the water or they just love their country; it was so refreshing [particularly coming from England where the Brits can be rather dour (sorry guys but it's true!)]. Refreshing too was the very VERY chilly weather. A Dublin visit in January isn't for the faint hearted, expect temps below zero and if you're lucky a sprinkle of snowflakes but more likely just lots and lots of rain. Still it didn't dampen the Irish's [or my own] spirit. If I'm being honest you probably only need a day or two in Dublin city. The locals may disagree with me but I think you can see all you need to in that time like St Patrick's Cathedral, the river Liffey, Trinity College, St Stephen's Green and the Guinness factory (which is really interesting and has a great roof top bar) or the Jameson Distillery if whiskey is more your style. But that's not to say you don't need more time in Ireland because outside the city is where the country really shines. We hired a car and headed for the hills [literally] spending a day driving around the Wicklow mountains area - the scenery was spectacular! Places to visit include Powerscourt Gardens, Enniskerry, Sally's Gap and Glendalough. It's a beautiful drive, we even found some freshly fallen snow on the way but beware of ice on the road if you visit in winter. Dublin itself has an array of buses and trams that you can use to get around the city. Walking on foot is a good option too provided it isn't blisteringly cold. If you visit I would highly recommend hiring a car for a day or two so you can venture out into the countryside. There is so much to see beyond the walls of the city and it would be such a shame to miss it. There's an Irish saying, "it would be a good puzzle to cross Dublin without passing a pub," rather an impossible puzzle I think because pubs are everywhere! You can't visit Ireland without venturing into a few watering holes for an obligatory Guinness. There are also plenty of great places to eat around the city. I really enjoyed my evening at The Bank which is a restaurant on College Green; as the name suggests it is an old bank and the interior is spectacular with marble columns and ceiling roses. Also around that neck of the woods you'll find the Temple Bar area which is full of places to eat. Be sure to try a traditional stew and some colcannon (mashed potato) while you're at it! After my visit I can truly say I'm in love with the happy spirit of Ireland and its people, and more than a little bit crushing on their accent - it's fantastic! I keep trying to mimic it myself but for some reason I always end up sounding Scottish - I'll keep practising! 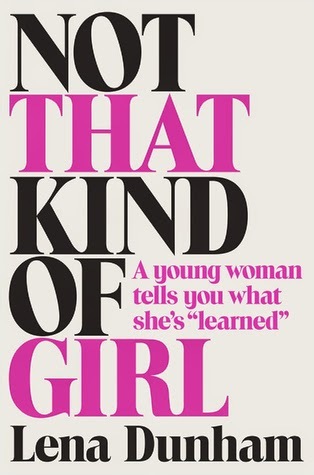 Not that Kind of Girl by Lena Dunham – sure to be full of witty quips and self-deprecating humour in the best way possible. 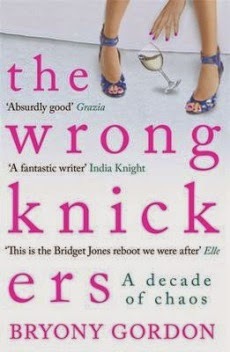 The Wrong Knickers by Bryony Gordon – a true story of a girl about town in London… What’s not to love? 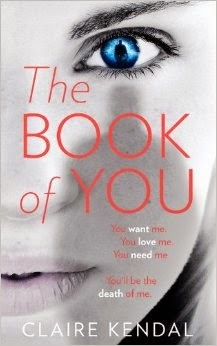 The Book of You by Claire Kendal – rumoured to be the ‘new’ Gone Girl, this is a must for thriller lovers; I can’t wait! 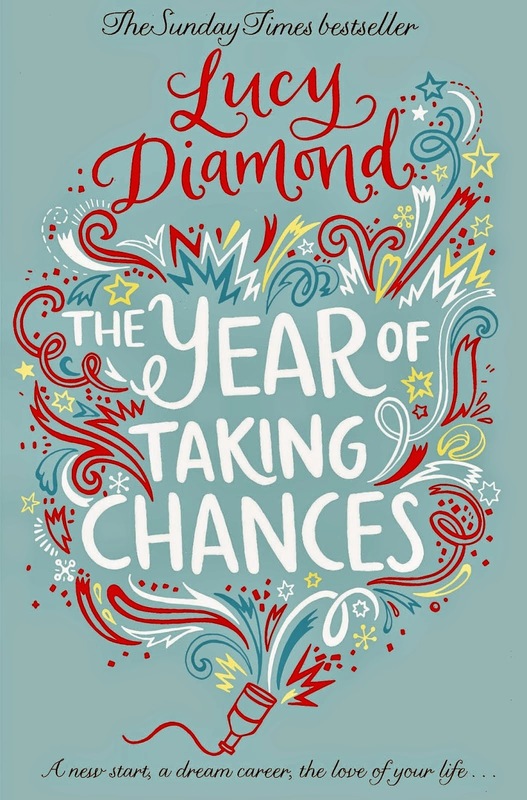 The Year of Taking Chances by Lucy Diamond – new year, new book about a new year - sounds perfect to me. Get your mind into gear for 2015 with a little chic-lit. 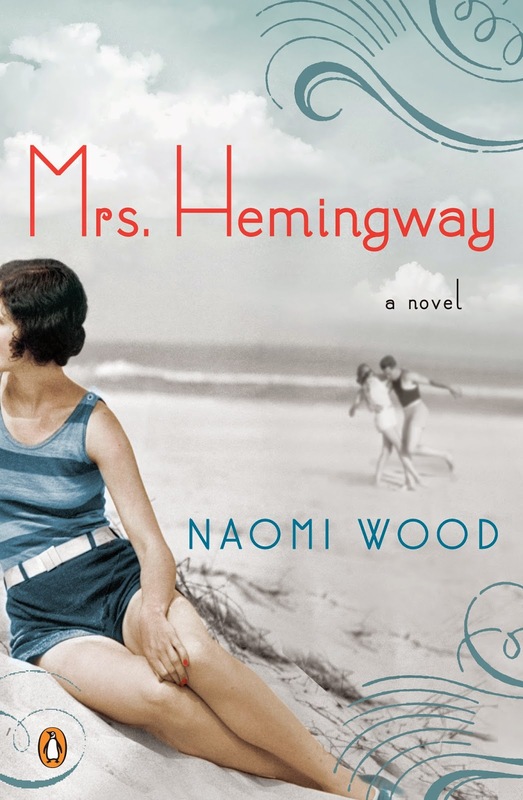 Mrs Hemingway by Naomi Wood – a novel about the wife of the famous Ernest Hemingway set in the south of France complete with tales of passion and deceit. Sounds like my kind of book. Preheat your oven to 180 degrees Celsius. Coat your beef in cornflour and season well. Heat the butter in a fry pan and fry off the meat in 2 batches until golden brown. In a large stock pot place the onion, carrots, celery, tomatoes, garlic, chilli, stock, wine, tomato paste, sugar and thyme. Season well. Add the beef. Cover and roast in the oven for 1 hour and 20 minutes. Give the stew a good stir. Add the potatoes and worcestershire sauce and while you're at it, give the cherry tomatoes a squish with a fork so that they break into the stew. Return to the oven for a further 40 minutes. Serve garnished with parsley and a side of good crusty bread. Sounds so good I'm ready for round two!